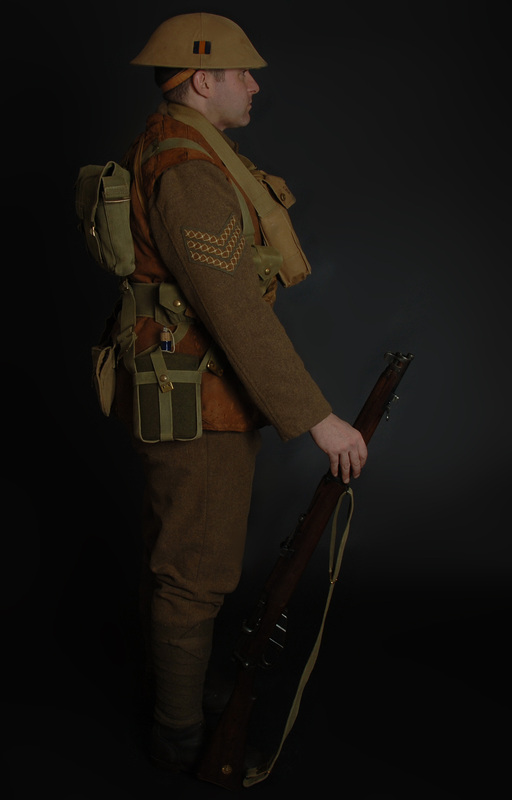 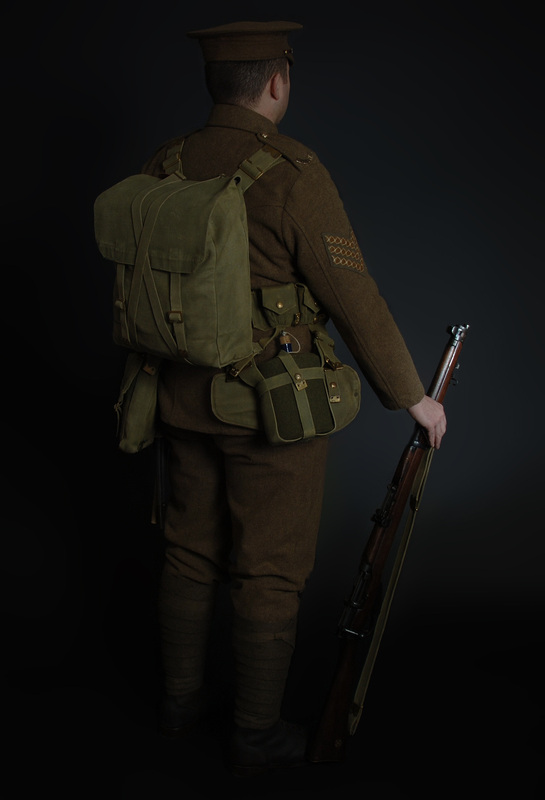 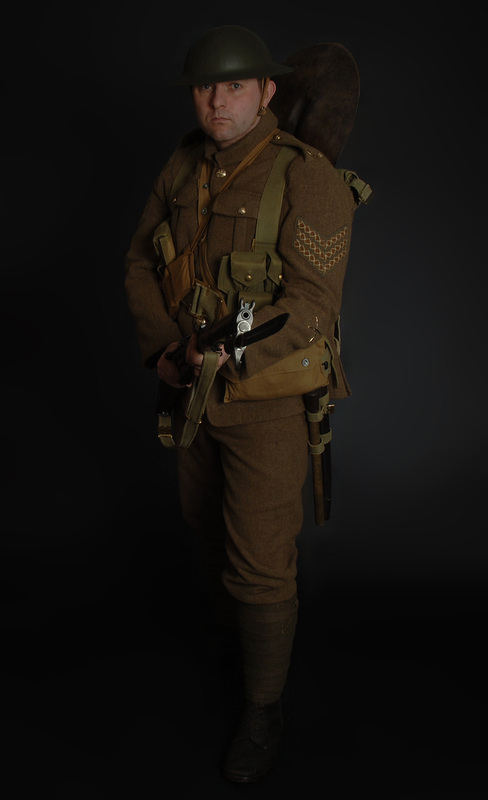 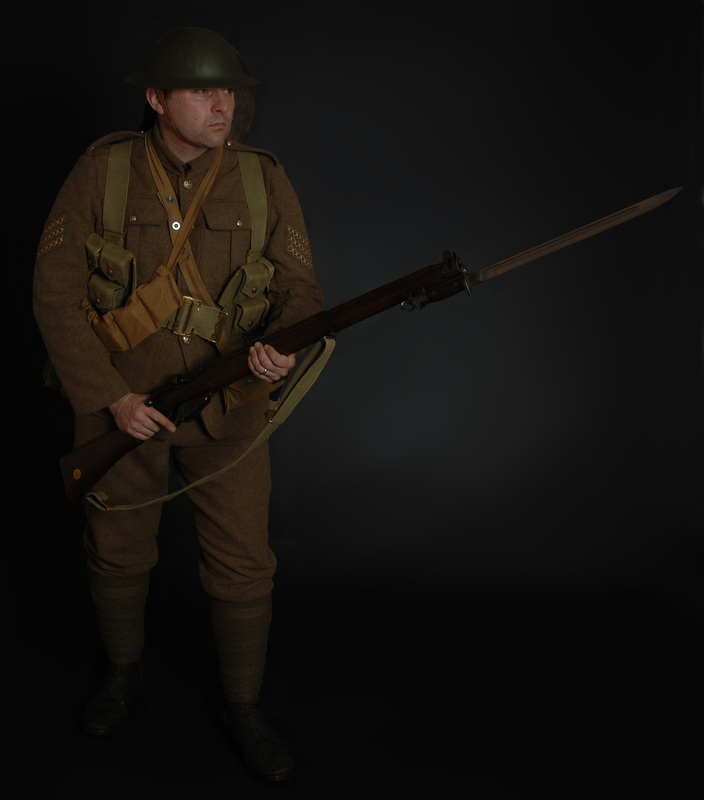 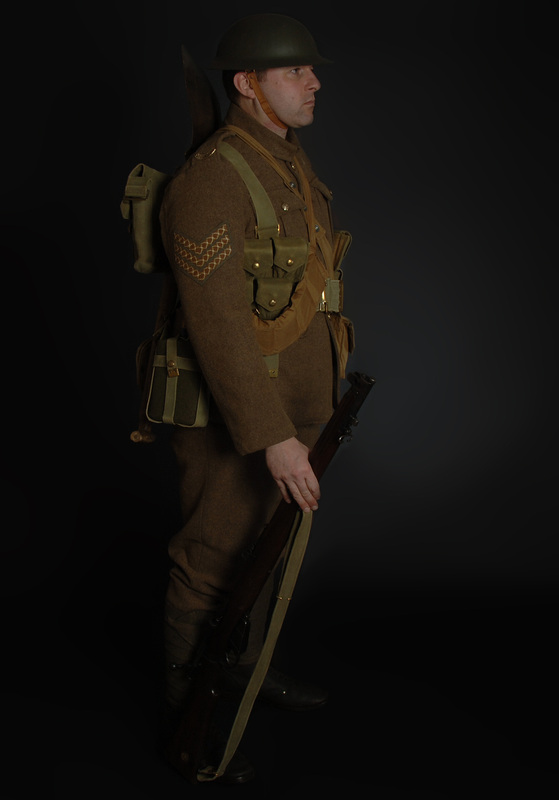 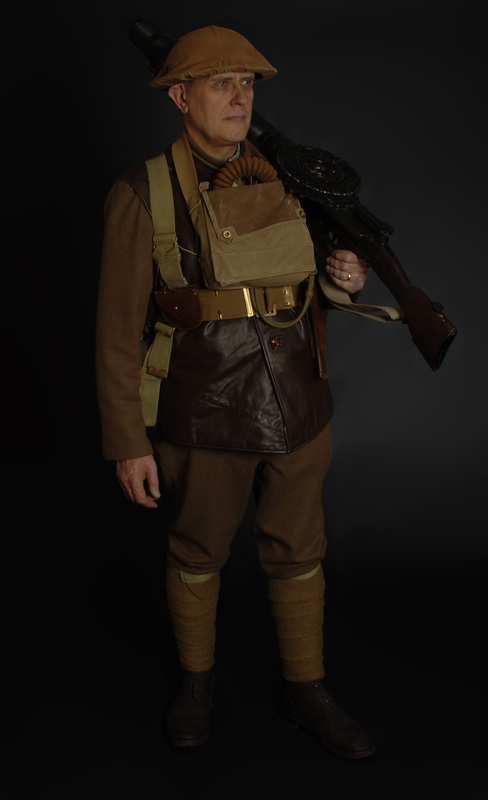 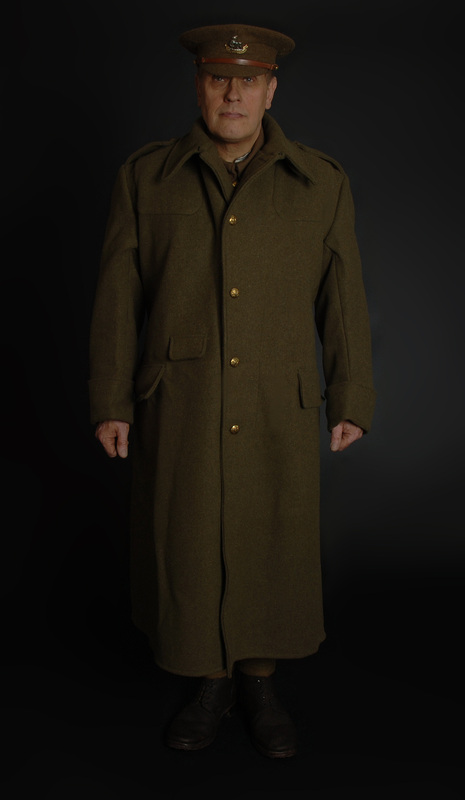 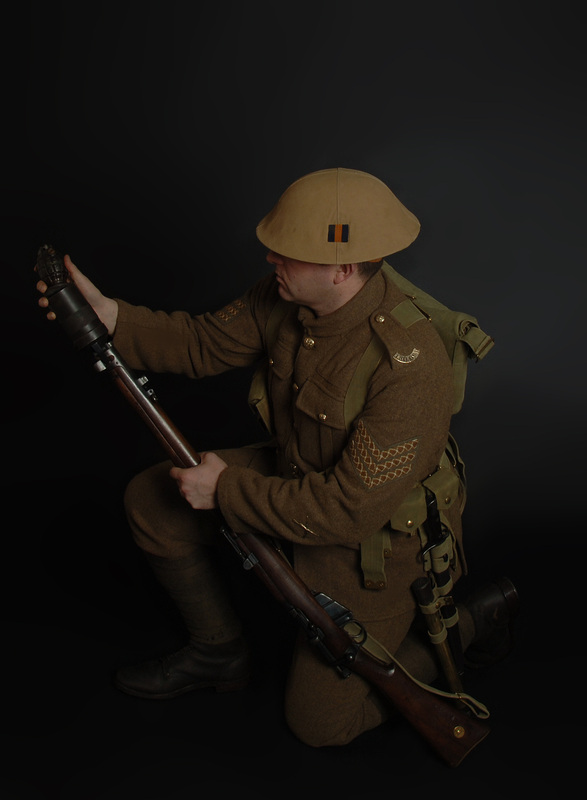 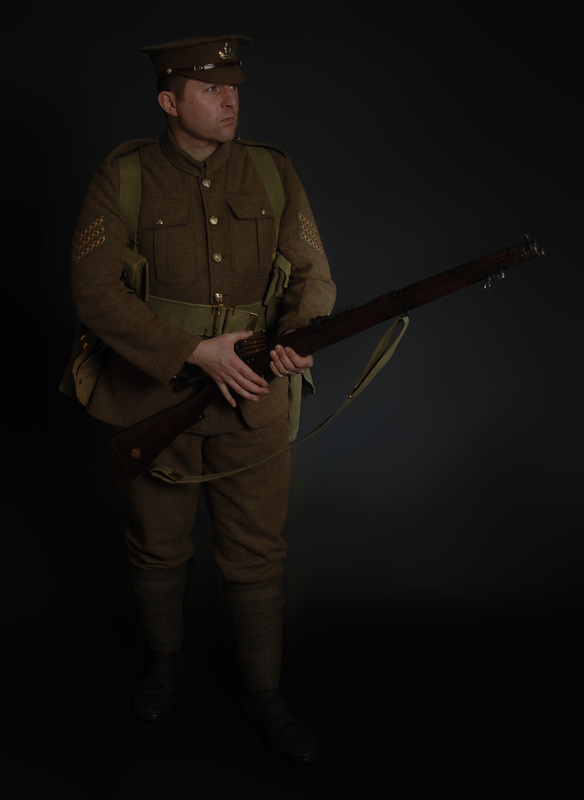 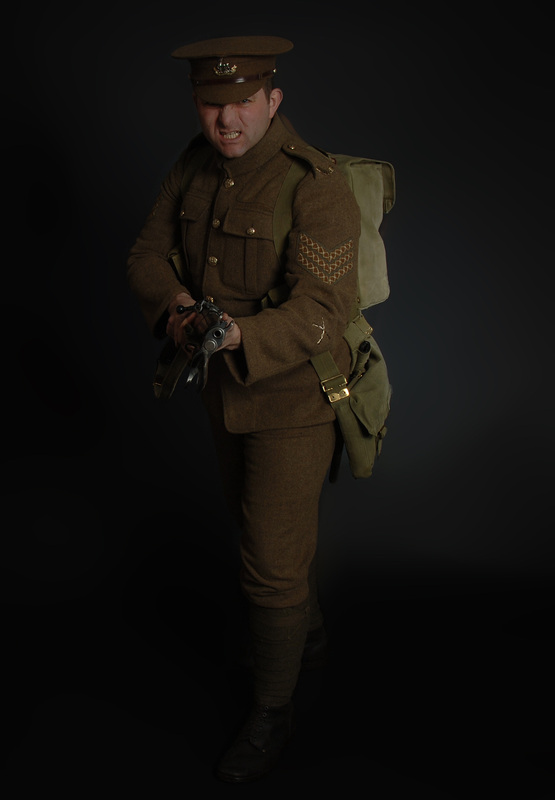 Our 1914 soldier is wearing marching order 1908 webbing equipment and standard service dress. 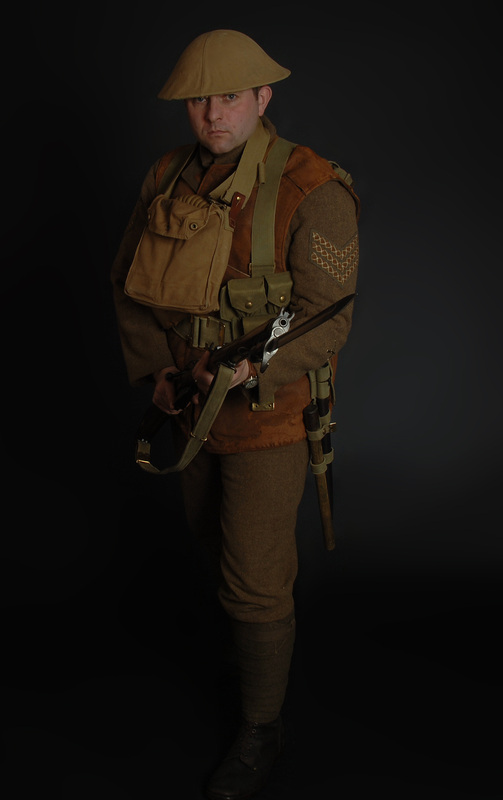 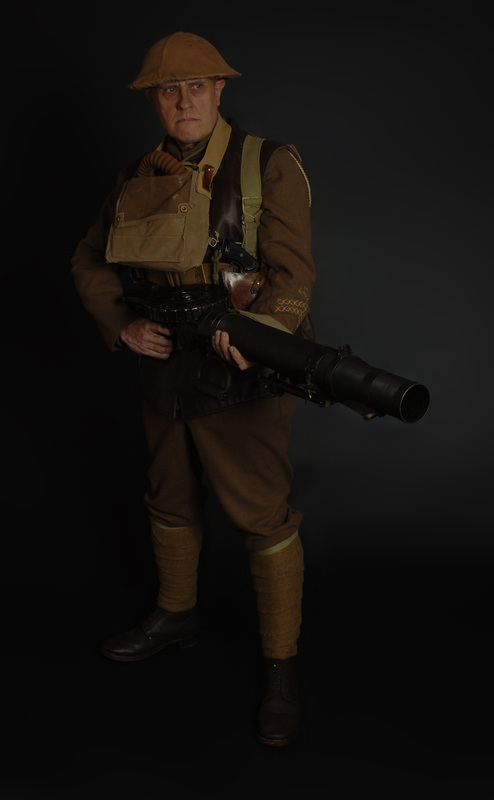 Our 1916 soldier is wearing a steel helmet and is carrying extra ammunition in a bandolier and carrying a "PH" gas hood. Our 1918 soldier is wearing a camouflage cover on his helmet, a leather jerkin and Small Box Box (SBR) respirator.